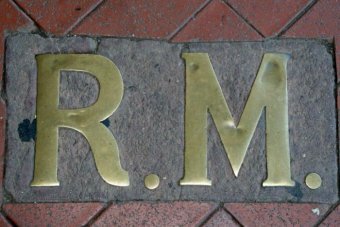 If you’re an especially eagle-eyed Central West local, you may have noticed two gold letters embedded in the footpath outside the Commonwealth Bank in Summer Street, Orange. R.M. — the letters mark where the Rose Marie Cafe once stood. 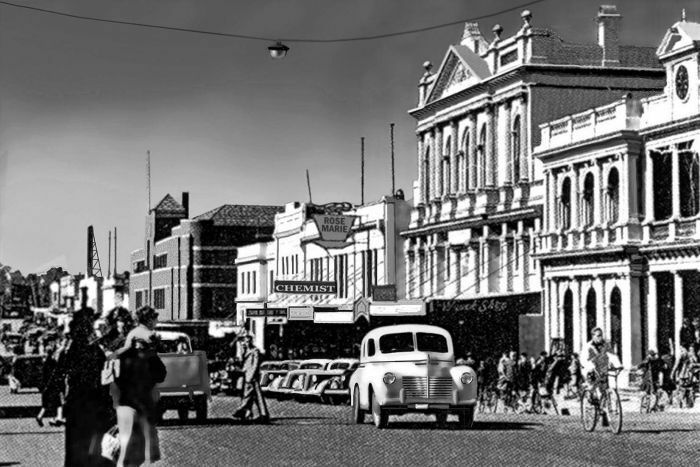 “It was an institution in Orange,” said John Kich, a “curious” resident from the New South Wales city. But in seeking more information about this iconic Orange dining experience, Mr Kich touched on a phenomenon that became an important part of Australia’s multicultural history. The Rose Marie Cafe is one piece of a much larger story that starts in the United States in the 1890s, arrives in New South Wales in the early 1900s, and unfurls across the state with the railways. The Greek diaspora was a global migration that would change the cultural face of the US and later Australia. In search of a better life, many Greeks set off for the New World armed with little more than a formidable work ethic and, as it turned out, an innate understanding of what made for a first-class dining experience. Historian Leonard Janiszewski said migrant Greeks were drawn to the cafe model because it allowed them to operate as a family unit, and could be done without an education or much experience with their new country’s native tongue. “Essentially, the Greek diaspora, when it started filtering right across the globe, it went into occupations with which it was familiar and was easy to get into,” he said. Their flair for enhancing a dining experience was unique, largely thanks to the public dining scene they were used to in Greece. 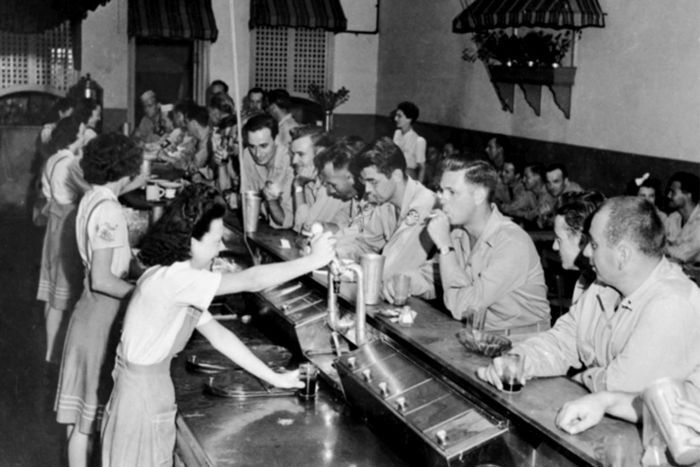 Early American cafes targeted working-class men and were socially stratified. “Greek public eating — it’s all inclusive rather than exclusive, so they started to transform what they found in the US, which were [British-origin] oyster saloons,” Mr Janiszewski said. “They served beer, they served fresh oysters, bottled oysters, cooked oysters, but they wanted to enhance that by bringing in the idea that all families were welcome, no matter what class. “That you could have not only oysters but a variety of other food items — red meat, fruit. “But while they’re in the United States doing that, they also picked up items such as American-style confectionery, candies, and American-style chocolate. “They picked up American-style ice cream — very smooth on the palate — and they also picked up the American soda fountain. On March 25, 1974, the Central West Daily eulogised about the closure of the Rose Marie Cafe. “Mr George Cringas [sic] and the late Mr John Vosnos opened the cafe in Summer Street in 1924. 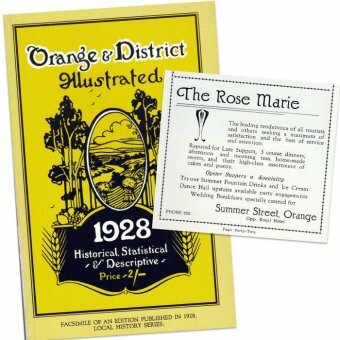 “Since that day the Rose Marie has enhanced its wide reputation as being one of the finest cafes west of the mountains. “For many years the Rose Marie has been the mid-morning meeting place for most Orange businessmen. George Kringas migrated to Australia in 1923. He came from the Peloponnese region in southern Greece. Interestingly, another Peloponnese man would make Orange his home — Chris Chellas, owner of the Silver Key Cafe. Chellas set sail for the New World, leaving his wife and infant daughter to follow once he had made his fortune. It was 13 years until the girl would see her father again and join him in Australia. Her name was Maude (Modestoula) Chellas, who would later marry George Kringas in 1933 and run the Rose Marie Cafe as husband and wife. In 2001, she told Mr Janiszewski about how they met. “I met my husband in Orange … he would sweep the pavement outside his cafe and I would sweep the footpath outside my father’s. The first Rose Marie Cafe was located at Fisher’s Corner — the corner of Summer Street and Lords Place at 244-246 Summer Street. 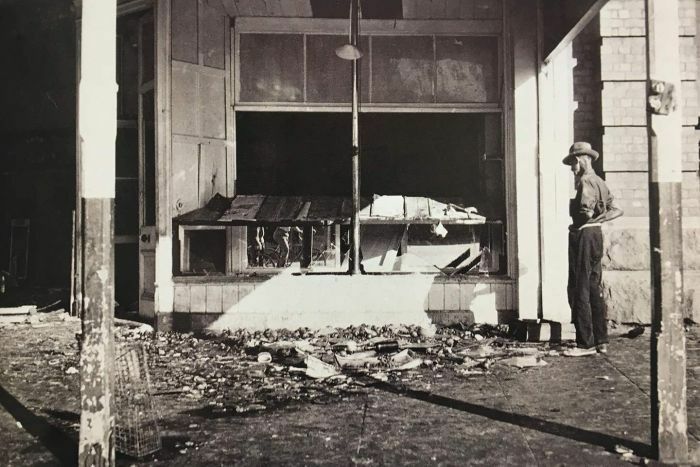 After the fire it relocated to 234 Summer Street. 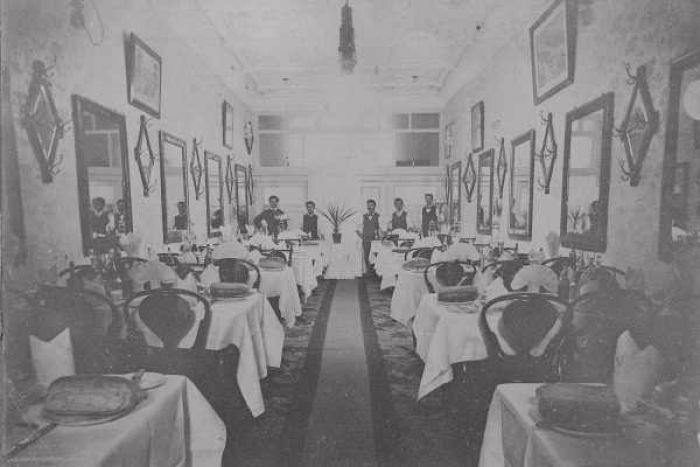 The cafe could seat 170 people in its mirror-clad dining room, then considered to be the height of luxury and sophistication. 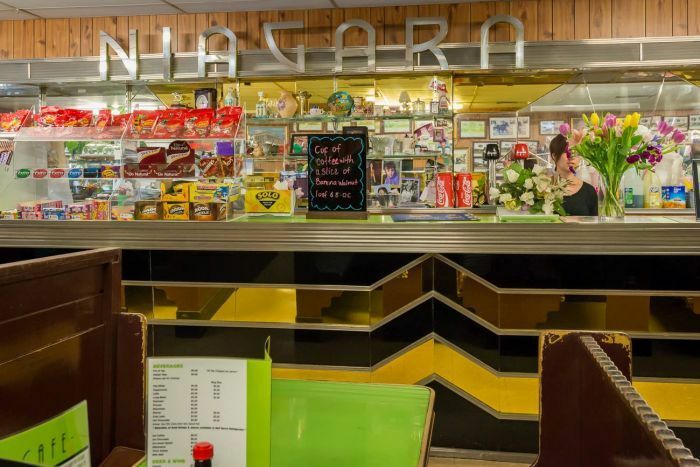 And just like Niagara in Gundagai, Katoomba’s Paragon Cafe or the Golden Gate in Cowra, the Rose Marie cleverly harnessed the exotic and the moderne to create an otherworldly experience for their patrons — it was not just about the food. It was glamourous, cinematic and pure escapism, something Mr Janiszewski called “the idea of food and fantasy”. “[It was] the concept of value added. “Traditionally, British eating experiences towards the working class were very pragmatic; there is your food, on a plate, just consume it. “But when the Greeks went to the United States particularly, they recognised there was a fantasy aspect. You had to have decorations, the exotica. 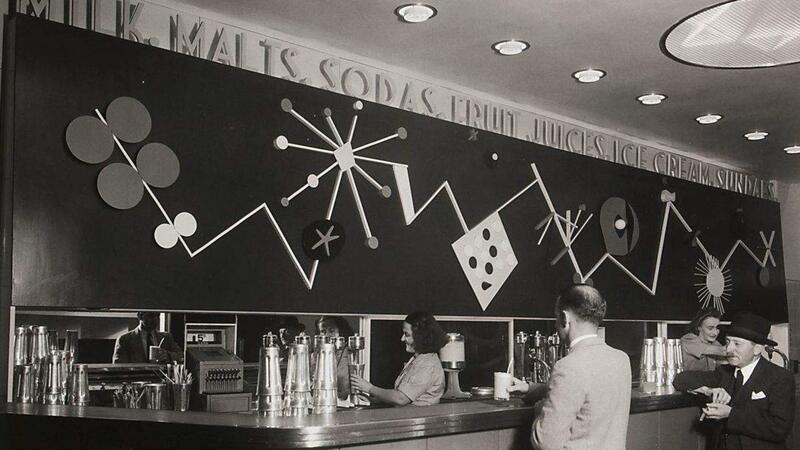 Even the soda fountain was part of that because it had flashing lights. Mr Janiszewski considers the typical Deco interiors almost as a form of branding. “The interior decor was very important,” he said. 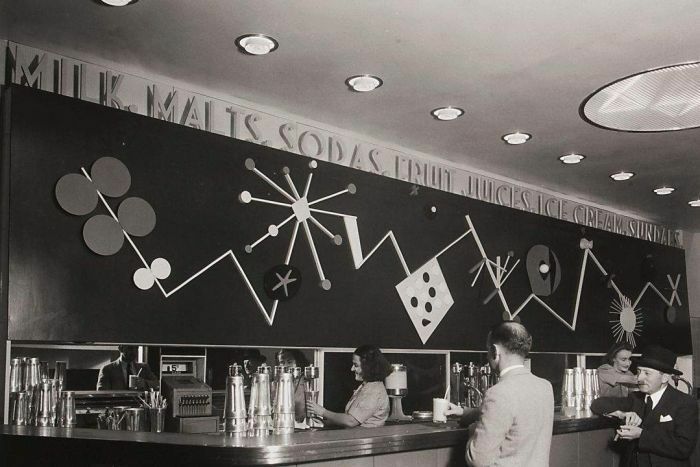 Mrs Kringas once described the Rose Marie’s soda fountain to Mr Janiszewski. The cafe model involved backbreaking work, with a typical day being between 16 and 18 hours long, seven days a week. The cafe’s enormous popularity, its elaborate menus covering breakfast, lunch and dinner and complex interiors created a constant rotation of chores. This relentless labour cycle meant owners were never afforded a life beyond the business. “We had a staff of eight to 10 local girls and two to three Greek cooks,” Mrs Kringas recalled. The physical isolation of labour was compounded by a sense of extreme cultural isolation, as Greek migration pushed out in all directions from Australia’s capital cities. Most country towns would come to have a least one Greek-owned cafe or shop. Greeks were subject to racism and rejection on a societal level that made their experience cripplingly lonely. “Remember, we had the concept of White Australia in inverted commas here,” Mr Janiszewski said. “They were seen as not being part of the society. “Certainly, they were very popular in terms of food catering, but in terms of being accepted within the society itself, broadly speaking, no. According to Mr Janiszewski’s research, it was women who shouldered the largest burden. “They had the responsibility of raising the family according to Greek Orthodox values, ensuring that the husband was well supported within the business itself; either they were working in the kitchens or they were serving,” he said. Under such difficult conditions, the cafe owner’s endurance was nothing short of courageous. But cafe owners were clear-eyed on what they needed to achieve and why. 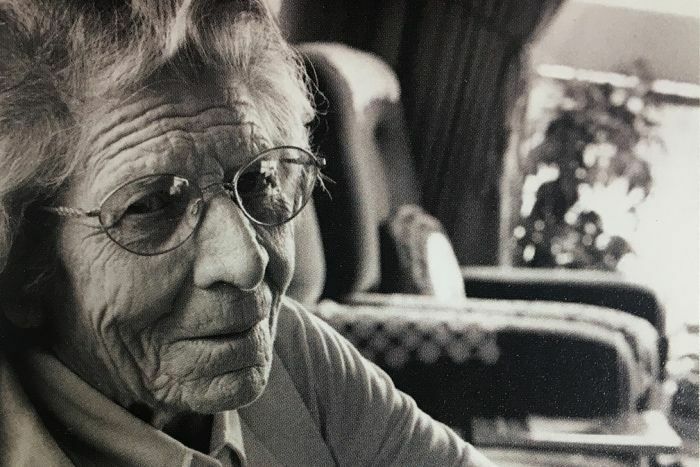 “These Greek cafes and milk bars and soda and sundae parlours … the intent was that they would create a foundation for the future generations within the family,” Mr Janiszewski said. “So by the 1980s and 1990s, many people would become familiar with the stereotype, ‘I’ve got a Greek lawyer, I’ve got a Greek doctor, I’ve got a Greek dentist’. Indeed, Maude and George Kringas’s son, Christopher, would go on to achieve great things despite his life being cut short due to illness. Chris Kringas was the architect who designed the High Court building in Canberra. By the 1970s, the corporatisation of eating out had commenced in earnest and the age of the Greek cafe was over. Many returned to Greece, feeling that they had performed their familial duties. “They had done their responsibility in terms of raising their family,” Mr Janiszewski said. But some remained and became fixtures in their country towns. Their cafes diversified into fruit shops or other businesses to remain relevant and serviceable. 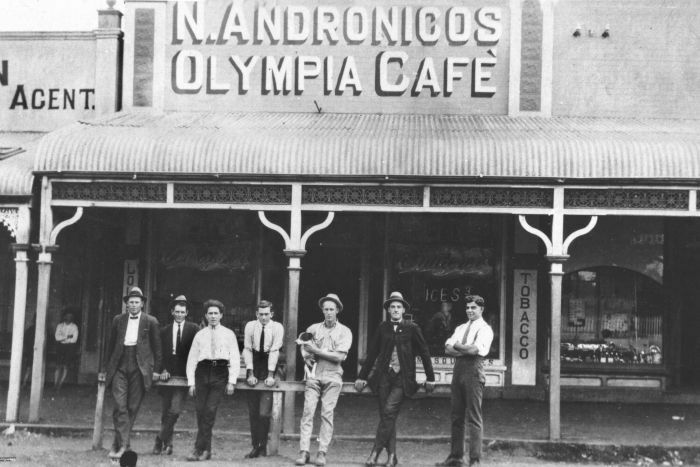 In fact, a few fortunate country towns still have their Greek cafes, sleepy but intact. The Paragon in Goulburn, Peter’s Cafe in Bingara and the Niagara in Gundagai are still operational. 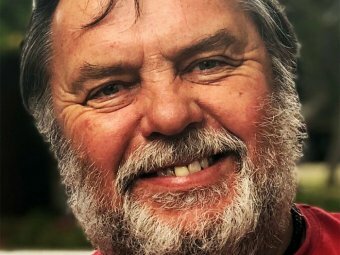 “It’s a nostalgia hit — go there and feel what it was like during the 1930s and ’40s to actually eat and experience these types of eating houses,” Mr Janiszewski said. John Kich grew up Orange, New South Wales, the son of Ukrainian parents. “We were an immigrant family and we didn’t dine out in cafes. This was something more familiar with Anglo-Australian middle-class families and businessmen. “We contented ourselves with Ukrainian food, Ukrainian custom and what we could obtain from our vegetable gardens. Mr Kich says he is pleased that such a part of Orange’s history has been told in detail.